Begonias are easy and colorful foliage house plants! 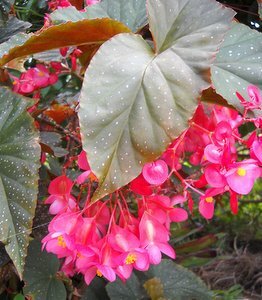 The Angel Wing Begonia has attractive colorful foliage and is also a flowering house plant. 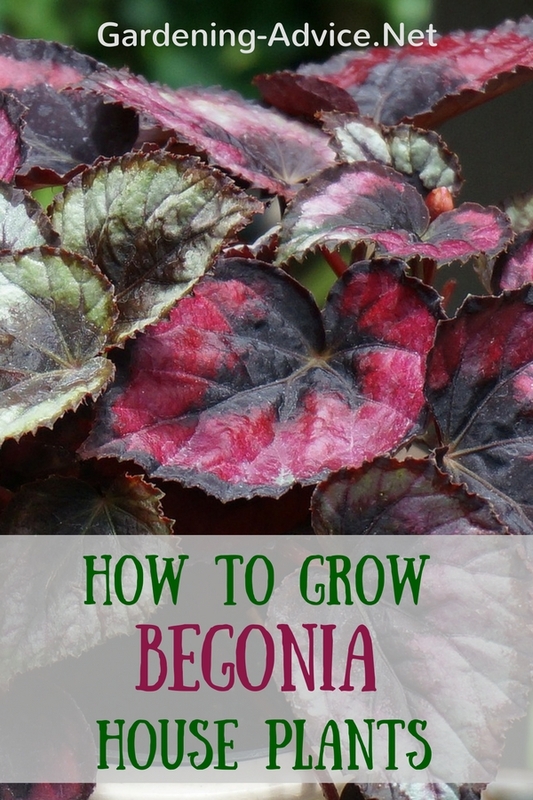 Learn how to care for begonia plants and their propagation. Most people think of begonias as plants with brightly coloured and scented annual flowers that grow in pots or hanging baskets on a patio or terrace throughout the summer months. 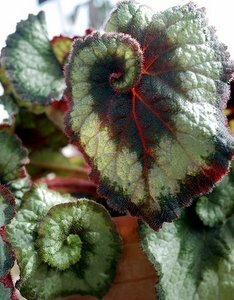 Begonia house plants, however, are mainly grown for their stunning foliage which lasts indoors throughout the year. The leaves of a begonia are usually variegated in color and they offer an amazing range of shape and texture. 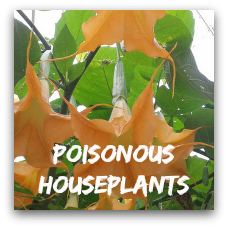 They are possibly the most successful foliage plant that has been bred for growing indoors. The Angel Wing Begonias are amongst the easiest to grow and are a good one for beginners to start with. They are known as Angel Wings because of the leaf shape and they include many of the best foliage plants. Some of them also have the added bonus of flowers and are grown more for the flowers than the foliage. 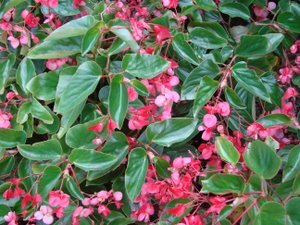 Begonia Rex, on the other hand, is the prime foliage plant and any flowers that it produces should be picked off so that they do not take the strength away from the leaves. 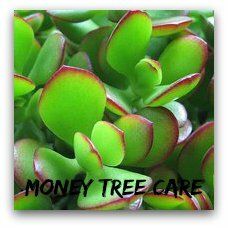 They come in many different foliage colors and variations and are definitely one of the most attractive foliage house plants you can get. 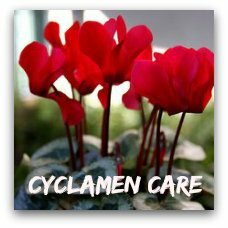 Never keep Begonias too wet and use a free draining potting mix. They also like high humidity levels so keep them in trays filled with gravel and water. Begonia plants do not enjoy full sunshine and they should not be placed in a window that receives direct sunshine for part of the day to avoid burning of the foliage. The ideal position for a begonia plant is an area where it can get plenty of daylight but not direct sunlight. It does not mind dappled light, where the sun is filtered through other plants. They grow well, therefore in a conservatory where they can be partly protected from the sun by other plants but receive plenty of daylight. Don't ever over water your begonia and don't water the leaves. It is best to have the pot standing in a tray of sand or pebbles so that the water can drain into that. Watering once a week should be enough and in the winter it needs even less. Give your plant a liquid feed once a month. This should be applied just after watering so that it is absorbed into the moist compost. Begonias should be potted in a fibrous compost that will drain well. They are shallow rooted plants and dislike any growing medium that holds water for too long. 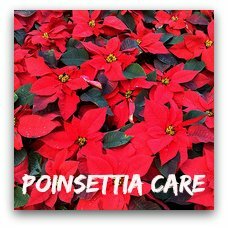 Re-pot your plant once a year during the winter months. Move it to a pot that is just a little bigger than the previous one - by about an inch, not more. Put two or three inches of fresh compost into the bottom of the new pot. After you have watered the plant, lift it gently out of its existing pot and move it to the new pot. Fill the pot with new, fresh compost. This annual re-potting will make sure that the begonia plant keeps a good shape and foliage color. Begonia house plants are normally propagated by stem cuttings. It is possible to propagate a them with a leaf cutting, simply breaking off a leaf and sticking it in a pot of compost, but this is normally more successful with the outdoor varieties. For Rex Begonia propagation it is best to use leaf cuttings and insert them in a pot filled with compost. Cover the pot with a plastic bag until the leaf has started to produce roots. For a stem cutting, choose a stem that has not flowered and has plenty of buds on it. Take a cutting with at least one bud and put the cutting in a jar of water. You can put several cuttings in the same jar. After a few days, you will see that little fibrous roots are beginning to grow from the stem. Once these roots are about half an inch long, transfer each stem to a small pot of potting compost and let it grow on.